How are you all this week? It’s freezing and last night we had thunder and gales. Yes, winter is definitely here. It’s Stir Up Sunday this weekend if you love your baking – the day when we all traditionally need to make our Christmas cakes and puddings. I have a truck of dried fruit arriving later today and am relying on Mary Berry (who else?) to create a Christmas cake masterpiece. I’m currently reading “At Last’, the next Alex Troutt thriller by John W. Mefford so stand by for my review on the 21st of this month but in the meantime if you’re a wine lover and you love a good mystery, check out “Overcast Sunset” by Joyce T. Strand – murder, theft, kidnap and romance at a winery which will keep you guessing. 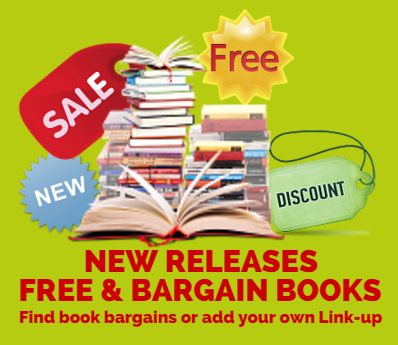 It’s Black Friday next week but if you want some bargains in the meantime – as well as something good to read – you’ve come to the right place as there’s plenty to choose from on this week’s link-up. Don’t forget that I still have plenty to be won on my competitions page and don’t forget my new problem page here. "Look Fabulous This Festive Season With Joan Collins Timeless Beauty"
"Mums Forced Out Of Work Due To Lack Of Flexible Jobs"